In the little Cumbrian valley of Matterdale there is a local story that has been passed down from generation to generation for more than three hundred years. It tells of how in the late seventeenth century one poor tenant farmer walked hundreds of miles to London to testify in front of the highest court in the land – the House of Lords – in a trial which pitted a group of Matterdale farmers against a powerful local lord of the manor. Is this story true? If so what was it all about and what was the outcome? Luckily the records of the trial survive in the archives of the House of Lords and so it is possible to reconstruct much of the real history of this small episode. More than this, the long and costly struggle of the Matterdale farmers gives us a lovely insight into the centuries-long, and much opposed, English enclosure process – a process that was just beginning to bite in Cumberland in the seventeenth century. In those days, it was relatively unusual for poor tenant farmers (not to speak of still poorer cottagers and landless peasants) to somehow be able to manage to take their complaints and grievances against their lords all the way through the different levels of the English legal system right up to the House of Lords. It was also quite rare for them to eventually win, as these Matterdale farmers did! Such rarity was both because the legal system was increasingly stacked against poor rural people trying to uphold their age-old common rights against the insidious and inexorable encroachments of powerful local lords, but also it was simply a question of money. Most small farmers simply just couldn’t afford the huge expense of lawyers plus the time and effort required to pursue their case to the very end. Later I will provide a little background on the English enclosure movement and what protecting common rights meant, as well as giving some colour regarding the protagonists themselves, the judges and the witnesses who were called to appear before the House of Lords. I will also ask if we can identify the person who “walked to London”. But first what follows is the true story of the legal case as best I can reconstruct it. Cumberland was a very poor and sparsely populated county. It wasn’t “champion” arable country as was to be found in much of the south and east of the country. It was and still is a land of lakes, mountains and moors. Great barons and lords held almost all the land in “fee” either directly from the King or from their feudal superiors – i.e. from more powerful magnates. The common people, particularly but not only customary tenant farmers, still pastured their livestock on the moors. These once natural rights to “the common treasury of all” had by now become “customary” rights. The Cumbrian farmers’ ‘right of common pasture’ on certain moors near Matterdale lay at the heart of the legal battle that is the subject of this article. 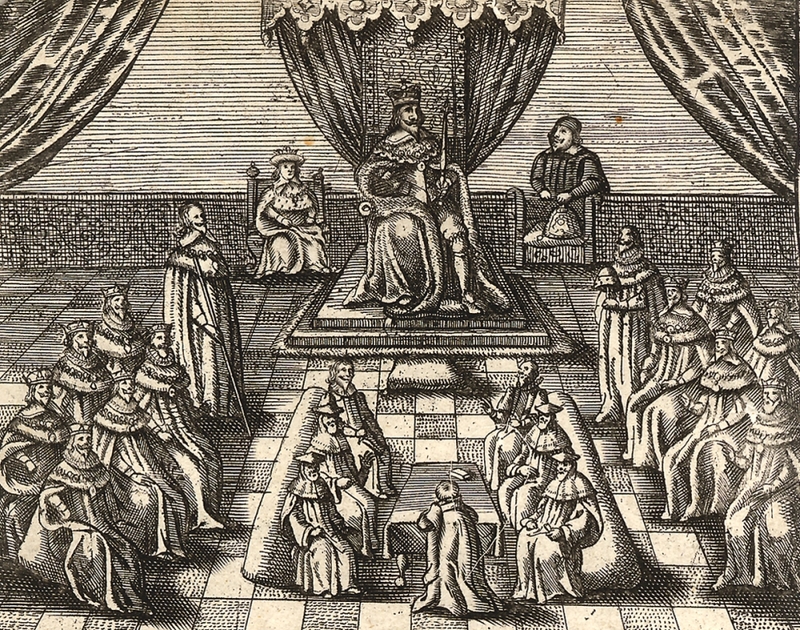 In the seventeenth century, the greatest landowning barons in the area were the Howard family, the Dukes of Norfolk, but another powerful family was the Huddlestons – historically Catholic like the Dukes of Norfolk themselves. Andrew Huddleston had recently converted to Protestantism to avoid the problems and religious persecution suffered by other members of his family. He was the Lord of the Manor of Hutton John. It was Andrew’s actions that were the cause of the farmers’ complaints and legal battles. In 1686, William Mounsey and fifty-three other named customary tenant farmers from Matterdale hired a lawyer and brought a writ, an ‘English Bill’, before the Court of Exchequer in London. 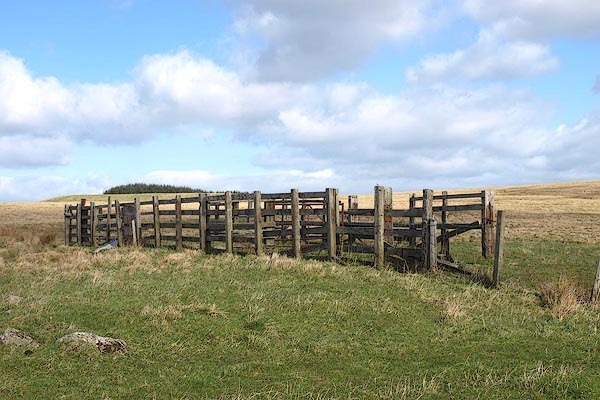 Their claim was that they had all had a right of common pasture for their livestock on three nearby moors and wastes in the Manor of Hutton John, called Hutton Moor, Westermell Fell and Redmire. But that the lord of the manor, Andrew Huddleston, claimed that the three moors were part of his manor and thus ‘belonged’ to him alone and that the farmers had no right of common pasture there. Like his father before him, he had tried to prevent the farmers from making use of these moors for grazing their livestock. When they didn’t stop he impounded (i.e. seized) their cattle. As the farmers couldn’t fight him physically they had had to resort to the law. The case is called William Mounsey et al, versus Huddleston. On July 1st 1686, the Exchequer judges referred the case to the Court of Common Pleas, to be heard at the next session of the Cumberland Assizes in Carlisle. This was duly held. The Carlisle assize court was presided over by an itinerant judge; a jury of twelve local men was convened. The judge in the case was called Thomas Powell (later Sir Thomas). The court and the jury heard the arguments of the plaintiff farmers and of the defendant Andrew Huddleston (or at least from their counsels), as well as taking the testimony of other witnesses. The jury found in the farmers’ favour. But Huddleston wasn’t having any of it. As we will see he was later to argue that the true decision of the jury wasn’t in fact that all these fifty-four Matterdale tenants had a right of common pasture on ‘his’ moors and wastes, but that only he and William Mounsey had such a right. However, in the immediate aftermath of the trial what he in fact did was to continue to harass the farmers and impound their cattle. The farmers wouldn’t lie down for this. They believed they had right on their side. As the law allowed, they made an appeal to the Court of Appeal to have the trial decision upheld and enforced. This meant returning to the judges of the Court of Exchequer in London when they sat to judge such matters of supposed Error and ‘Equity and Justice’. These sittings were held in the “Exchequer Chamber”. We are told that the judges in the Exchequer Chamber questioned the original Carlisle trial judge, the now ‘Sir’ Thomas Powell, and examined the trial record (the so-called Postea). They upheld the original verdict that all the farmers had the customary right of common pasture and made an injunction restraining Huddlestone from harassing the farmers further. Andrew Huddleston still refused to accept the verdict and the injunction made against him that he should refrain from harassing the farmers and impounding their cattle. He decided to appeal to the House of Lords to “reverse” the judgement and decree of the Court of Exchequer and asked that he be “restored to all that he hath lost thereby”. At ye next assizes for ye said County after aview averdict was given upon ye said issue that the said Mounsey hath only right of common in Westermellfell and the said verdict was indorsed on ye Pannell and yet afterwards at ye hearing upon ye equity… the said court by reason of ye said verdict decreed that all ye said 53 tenants of Matterdale should enjoy right of Common in Westermellfell and that your petitioner should pay costs and be perpetually enjoyned from distreining any (of) ye said Tenants cattle upon ye said Westermellfell. Ten of the said Jury certified upon Oath filed in ye said Court that it was the meaning of the said Jury that ye said Mounsey had only rights of Comon in Westermellfell and no other of the tenants of Matterdale. Ye Postea was not filed in ye Court of Common Pleas…. until ye last long vacacon (vacation) and then notwithstanding ye indorsement Judgement was entered as if it had been found that all ye fifty-three tenants had and ought to have Comon in Westermellfell. All of which your petitioner assignes for Error in ye said Judgement and Decree. Now this all may seem a bit obscure and full of French Law expressions, and it is, but as far as I can understand it essentially Huddleston was arguing that the verdict of the Carlisle trial (no doubt along with a list of jurors) was recorded and annexed to or “indorsed” to the writ on a parchment “Pannell”. This had been either not been seen or was ignored by the Court of Appeal. In addition, the Postea, which was the written report of the clerk of the court after a trial detailing the proceedings and the decision reached, had been delayed in being submitted to the Court of Common Pleas in London and thus had not been seen by the judges of the Exchequer Chamber. He was also claiming that he had sworn written statements (affidavits) from ten of the Carlisle jurymen that they had in fact only found that Mounsey had a right of common and not all the tenant farmers. It is thereupon ORDERED, by the Lords Spiritual and Temporal in Parliament assembled, That the said William Munsey, and the Fifty-three other Tenants before-mentioned, may have a Copy or Copies of the said Petition; and be, and are hereby, required to put in their Answer or respective Answers thereunto, in Writing, on Thursday the 17th Day of this Instant April, at Ten of the Clock in the Forenoon; whereof the Petitioner is to cause timely Notice to be given to the Defendants, to the End they answer accordingly. It is thereupon ORDERED, That the said William Munsey and others the Inhabitants aforesaid have hereby Time given them for answering thereunto, until Thursday the First Day of May next, at Ten of the Clock in the Forenoon. Became duly intituled under the right and tithe of the then Duke of Norfolk Lord and owner of the said Barony or otherwise to have common of pasture for all their goates, sheep and cattle levant and couchant on the said customary tenements yearly and at all times of the year in and upon certain Moores or Wast grounds called Hutton Moor, Westermellfell and Redmire or some of them in the parish of Graystoke as to their customary tenements belonging and which they and their Ancestors and predecessors, tenants of the said customary tenements, had from tyme out of mind enjoyed and ought to enjoy and being molested therein unjustly by the now Appellant who claymes to be Lord of the Manor of Hutton John and that the said Moores and Wastes lye within that Manor and pretended that the now Respondents had no right of common there. Whether all or any of the customary tenants of the late Henry Duke of Norfolk in Matterdale … have (from) tyme out of mind had and ought to have common of pasture on the waste grounds called Hutton Moor, Westermell Fell and Redmire in any part thereof and at all tymes of the year.. They stated that “upon a long and full evidence and examination on both sides the Jury gave a verdict that all the said customary tenants had common of pasture for their said cattle”, and that this decision had been so recorded in the Postea. They went on to explain how the case “came again to be heard in the Exchequer Chambor” (the appeal court), how the judges had once again examined witnesses, read the Postea and heard counsel for both parties. The judges had also examined the original trial judge, the now ‘Sir’ Tomas Powell, and had “decreed that all respondents had right of common… and that they should enjoy the same without the least disturbance or interruption of the now Appellant (Huddleston) and that “an injunction was awarded for quiet enjoyment and restraining of the Appellant”. Basically the farmers were claiming that both the Court of Common Pleas sitting in Carlisle and subsequently the Exchequer appeal court, sitting in the Exchequer Chamber, had found for them. Their rights, they said, had been upheld “in diverse Tryalls at Law”, but that the petitioner Huddleston “being unreasonably vexatious did still molest and interrupt (them) in the enjoyment of their common by impounding their cattle and otherwise and yet (i.e. still) refusing to suffer their right and title to the said common”. Regarding Huddleston’s claim that he had affidavits from ten of the original Carlisle jury, the farmers “suggested that if he had “procured” such certificates then they believed these to have been “unduly obtained” and that “they ought not to be made use of against them in this case” because it would be of “dangerous consequence to admit new evidence” or give credence to any statements of the jurors which were “in opposition or diminution to their verdict entered of record and verified by the Judge before whom the Tryall was had”. In essence I think we see here the implicit suggestion of the farmers that Huddleston had somehow pressured or extorted the jurors to recant their original decision. We will never know the truth but such things were not unheard of. Some of the exasperation of the farmers comes to us clearly over the centuries from their final words. Being they said “but poor men” they were “not able to contend with the Appellant who is rich and powerfull and uses all means to weary (us) out”. They asked that the House of Lords dismiss Huddleston’s petition “with costs” because they had already occurred significant costs and trouble “in the proceedings so far” and that there was still more to pay. The Lords set the 10th May 1690 for the hearing of the case and asked Huddleston to “cause Notice to be given to the Defendants, to the End they attend with their Counsel accordingly” on that day. They also ordered that “Charles Howard Esquire, John Aglionby Esquire, James Bird Esquire, John Mounsey Gentleman, and John Grisedale” should “attend this House, on Monday the 12th of this Instant May, at Ten of the Clock in the Forenoon, as Witnesses on the Behalf of William Mounsey and others Respondents, and wherein Andrew Hudlestone Esquire is Appellant”. The date of the hearing was moved back twice more, both because the “respondents and Andrew Hudlestone” were “far distant from London” and because their Lordships had had to deal with “more weighty matters”. 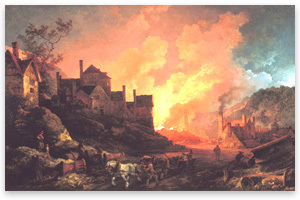 A final date of 4th December 1690 was eventually fixed. The Custos Brevium of the Court of Common Pleas do attend at the Bar of this House To-morrow, at Ten of the Clock in the Forenoon, with the Record of the Postea and Verdict in the Cause tried at the Assizes at Carlisle, between Andrew Hudleston Esquire and Mr. William Mounsey; and hereof he may not fail. 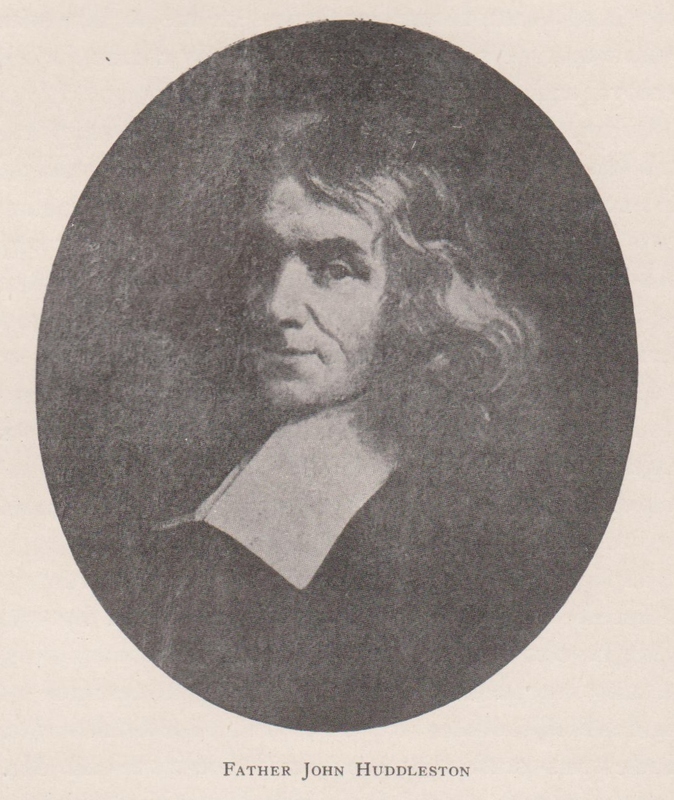 The Custos Brevium was the chief clerk of the Court of Common Pleas. The judges wanted to see for themselves the written record of the Carlisle trial which was such a bone of contention. After due Consideration had of what was offered by Counsel on either Side thereupon, it is ORDERED and Adjudged, by the Lords Spiritual and Temporal in Parliament assembled, That the said Petition of Andrew Hudleston be, and is hereby, dismissed this House; and that the Decree made in the Court of Exchequer, from which he appealed to this House, be, and is hereby, affirmed. The Matterdale farmers had won. At least for the time being they and their descendants would be able to benefit from their common and customary rights to graze their cattle and other livestock on these Cumberland moors. 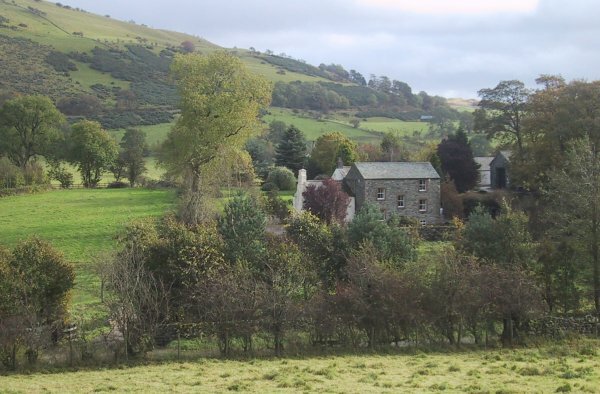 Of course the Huddleston family didn’t give up their quest to deny the farmers their ancient rights and they were finally able to completely enclose Hutton Fell by an Act of Parliamentary Enclosure in the nineteenth century, by which time many of the members of the families who brought Andrew Huddleston to court had already been forced off the land, to move to the satanic mills of the northern industrial towns, to join the army or to emigrate. But that is another story. Who were the protagonists and their witnesses? The full list of all the fifty-four Matterdale farmers was given in the Lords final ruling quoted above as well as in the farmers’ answer to Huddleston’s petition. 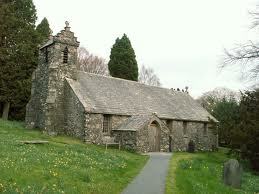 They were all members of long-established Matterdale families. 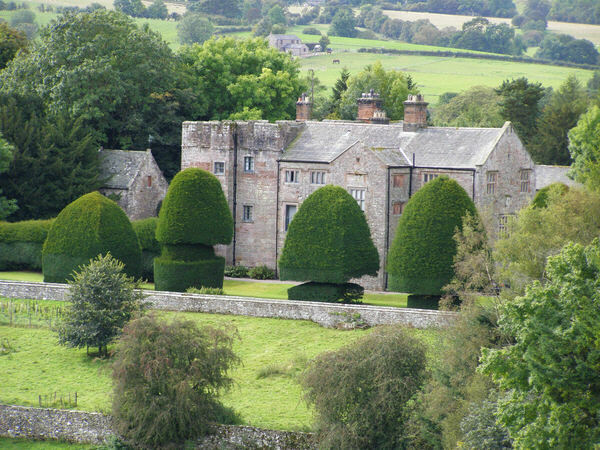 William Mounsey himself was one of the wealthier tenants and came from Brownrigg in Matterdale, others farmed up and down Matterdale valley, from Douthwaite Head in the south to near Hutton John in the north. As has been mentioned, Andrew Huddleston came from a long line of Catholics, whose cadet branch had become Lords of Hutton John. Andrew’s Uncle John was a catholic priest and had helped King Charles the Second escape following the decisive Battle of Worcester in 1651 and when Charles was restored after the English Revolution he became his confidant and reconciled him to the Catholic faith on his deathbed. Unlike many of his relatives (including his father) Andrew was flexible and converted to the Anglican faith and then set about restoring his family’s fortunes. 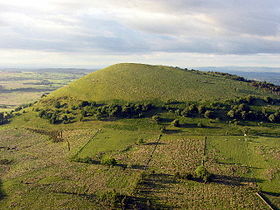 The Huddlestons remained Lords of Hutton John for centuries to come. Regarding the witnesses who were called to the House of Lords as witnesses; on November 8th 1690, when Andrew Huddleston petitioned that “your Lordships appoint a day” for the hearing, his counsel also humbly conceived that “Sir Wilfred Lawson Bart., John Pattinson, Thomas Benn and John Huddleston be fit and material witnesses in the cause”. I will have to leave it for a later time to look at who these people were (and it is certainly of interest). Suffice it to say they were obviously being called to bolster Huddleston case regarding the alleged customary rights of the tenant farmers as well to challenge the decision of the jury at the Carlisle assizes as it had been interpreted by the Court of Exchequer. But if we want to know who the Matterdale farmer was who, according to the local oral history, walked to London to appear before the House of Lords, we need perhaps to look at the witnesses called to give evidence for the farmers themselves. Earlier I mentioned that the House of Lords had ordered that “Charles Howard Esquire, John Aglionby Esquire, James Bird Esquire, John Mounsey Gentleman, and John Grisedale” should “attend this House … as Witnesses on the Behalf of William Mounsey and others Respondents”. Now Charles Howard (of Greystoke) was the brother of Henry the sixth Duke of Norfolk who had died in 1684 and to whom the farmers repeatedly made reference in trying to establish the legality of their rights of common pasture. He was no doubt being called to testify to this effect. John Aglionby’s family had supposedly come over with William the Conqueror and were a long-established Cumbrian gentry family. John himself was a lawyer and a long-serving recorder of the Carlisle Assizes and was thus without much doubt being called to testify regarding the decision of the jury and court in the original trial. James Bird Esq. remains obscure for the moment, but John Mounsey, who was a “gentleman”, was William Mounsey’s brother. He and John Grisedale (certainly a relative of the numerous Grisdales amongst the Matterdale farmers) were probably being called either to give evidence regarding the customary rights of the farmers “from time immemorial” or regarding the verdict of the Carlisle trial. So perhaps it was John Mounsey or John Grisedale who had “walked to London”? After all they are the two most likely contenders as we know that the House of Lords had demanded their presence. But of course it could equally as well have been William Mounsey himself or one of the other fifty-three, in their capacity as respondents to Huddleston’s petition. Perhaps we will never know. It’s certainly pleasing to know that this group of “poor men” finally prevailed over the “rich and powerful” Andrew Huddleston. It was obviously pretty crucial to their future livelihood that they could continue to pasture their animals on the moors. But where does this small legal fight fit in the longer sweep of English history? The majority of the English rural population had “from time out of mind” relied upon being able to make use of the huge swathes of England that were not under cultivation or definitively enclosed to supplement their meagre livelihood. They collected wood from the forests for building and heating, they foraged wild fruits, berries and leaves to supplement their diets, they cut peat or turf to burn and they grazed their goats, sheep and cattle on the wastes and moors. This they had done for as long as people had lived in a specific locality – in England certainly from well before the Norman Conquest. Without wishing to romanticise pre-conquest England, the land and it bounty were a “common treasury” for all. When The Norman French arrived in and after 1066, England was divvied up between the King and his secular and religious followers. The French feudal system was imposed with a vengeance. The long process of denying people their “rights” (to use an anachronistic term) to make use of the Commons had begun. The Norman French Kings created private “forests” for their own hunting while the French religious and lay barons and lords went about reducing most of the population to de facto or de jure serfdom. But while there was hardly any part of the country that was not owned (or held in feudal fee) by the Kings or the great magnates and lords, there were still enormous amounts of wastes, woods and moors surrounding the hundreds of nucleated, and usually cultivated, villages. The local people continued to use these commons but now their right to do so had become “customary” rather than what we might call natural. These customary rights were just part of a whole elaborate web of mutual feudal rights and obligations between lords and their vassals. To take the example of Cumbrian tenant farmers, they had the right to live on and work their tenements because their ancestors had before them. They had to pay rents, they owed labour services on the lords’ home farms – including various boon-days when the harvest needed gathering. They had to pay a fine or “relief” when the tenant died and his successor took over and when the manor itself passed from one generation to the next. But they also had rights in the common. By the seventeenth century all these rights and obligations were seen as deriving from custom. Sometimes they were written down but sometimes the customs were just that: customary, and were claimed to have existed from time immemorial. An important part of the history of the English people in the nine hundred years following the Conquest is the history of how the majority of English people was inexorably deprived of its common rights and slowly but surely forced off the land. This was the process of English enclosures. It took a long time, starting I would suggest in the thirteenth century, gaining momentum in the sixteenth and seventeenth centuries and reaching its brutal climax with the Parliamentary Enclosures of the nineteenth century; by which time England had been effectively fully privatised. The small victory of the Matterdale farmers in 1690 was important to them, but in the longer term their victory was almost pyrrhic. The Huddlestons wanted more land and they wanted exclusive use of that land. They wanted “private property” in its modern sense. They, like so many other “noble” English families, finally got what they wanted. The bulk of the rural population could no longer support itself. If people couldn’t have access to the commons they were drawn into the new industrial cities and towns there to become a new class of urban proletariat, or perhaps they went to fights the Kings’ wars or had to emigrate to Canada or America or perhaps they were convicted of petty crimes undertaken to feed themselves and their families and were transported to Australia. The descendants of the Matterdale farmers did all of these. The details of the hearing of the case William Mounsey et al, versus Huddleston are held in the archives of the House of Lords. Huddleston’s petition: HL/PO/JO/10/1/422/250 and Mounsey et al’s reply: HL/PO/JO/3/184/1. The House of Lords Journal Volume pages 447, 465, 486, 488, 545, 548, 577 and 578 provide further information. There are also documents relating to the original Carlisle assize trial held in the Cumbria record office, including D HUD 1/20 and D HGB/1/115.